The purpose of this paper is to present a technique to create a global map of a robot’s surrounding by converting the raw data acquired from a scanning sensor to a compact map composed of just a few generalized polylines (polygonal curves). 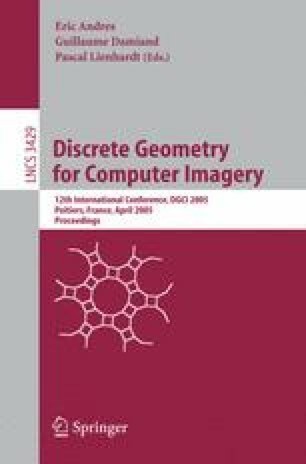 To merge a new scan with a previously computed map of the surrounding we use an approach that is composed of a local geometric process of merging similar line segments (termed Discrete Segment Evolution) of map and scan with a global statistical control process. The merging process is applied to a dataset gained from a real robot to show its ability to incrementally build a map showing the environment the robot has traveled through.